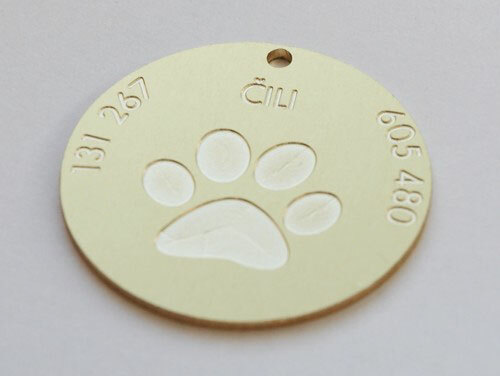 Every third dog loses his way home at least once a life. 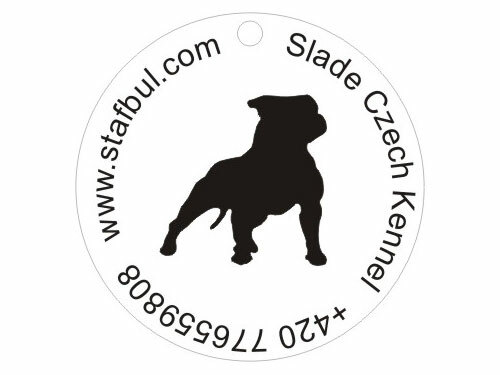 If he has no identification tag (no adress, no contact) he will be placed in some pet shelter - in better case. 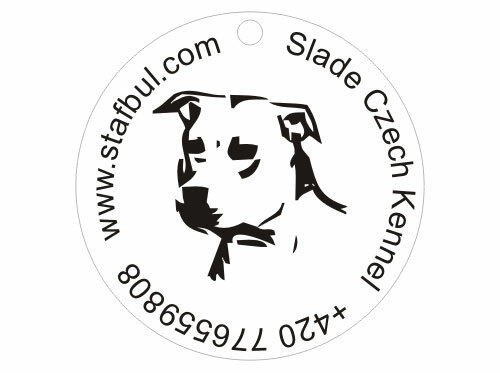 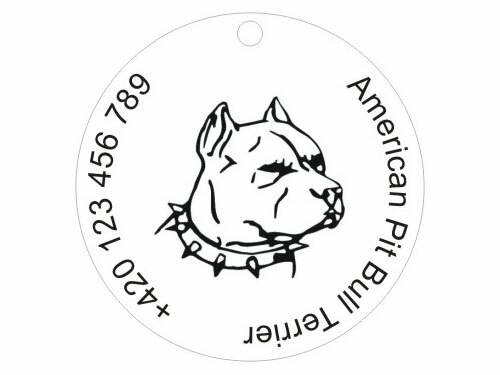 Tags for dogs enable owners to designate their dogs by individual tag in accordance with their own choice. 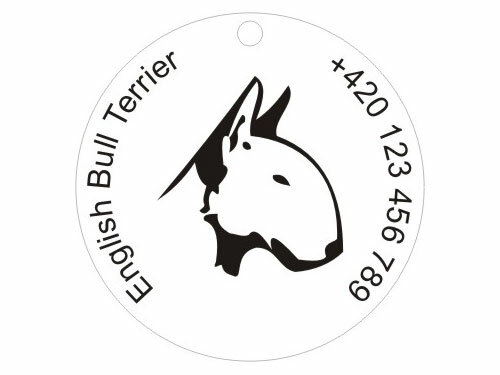 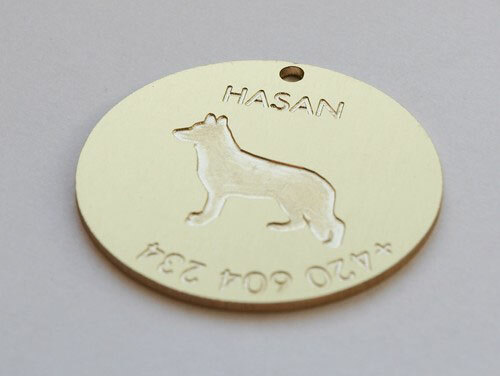 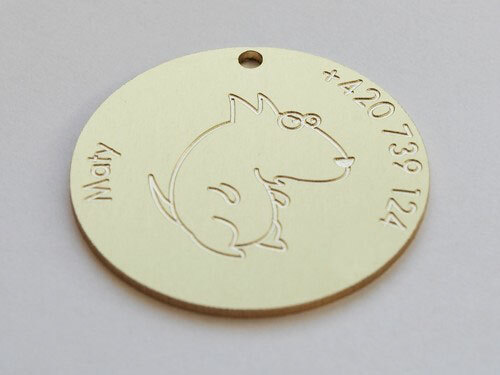 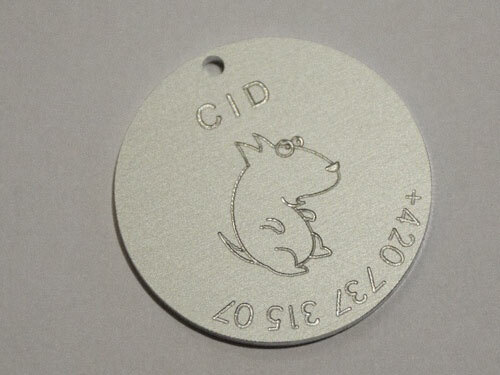 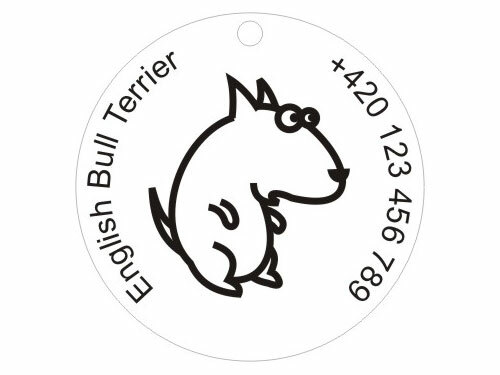 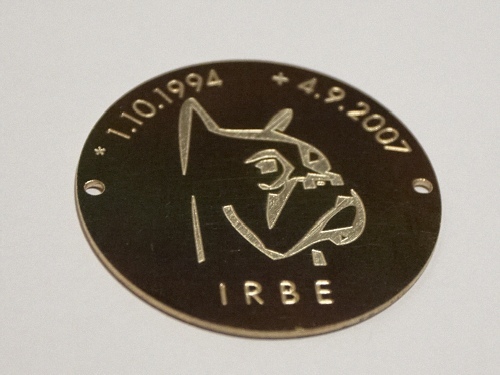 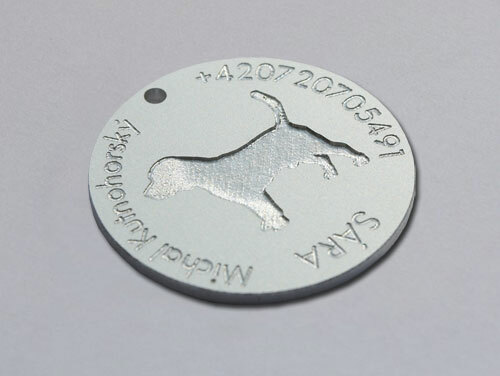 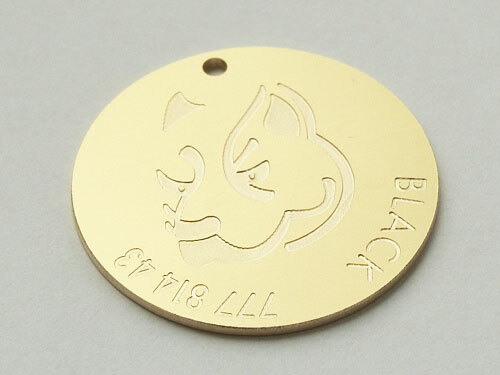 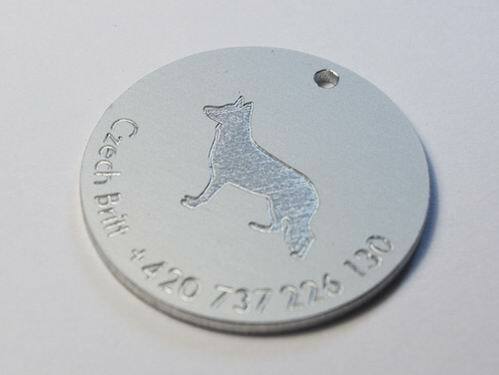 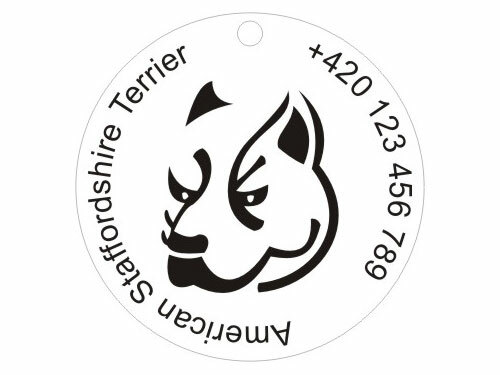 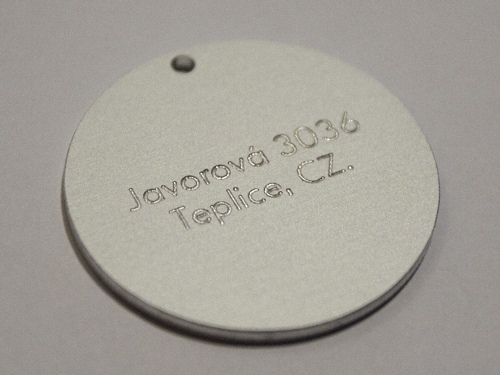 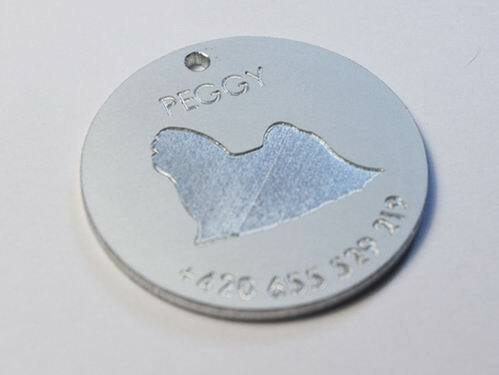 There can be engraved whichever datas which can help you to get your dog promptly back. 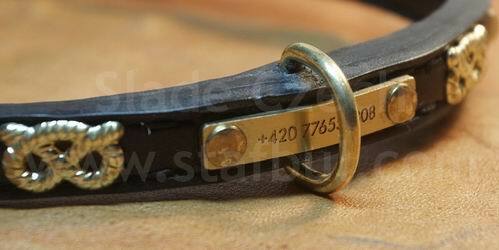 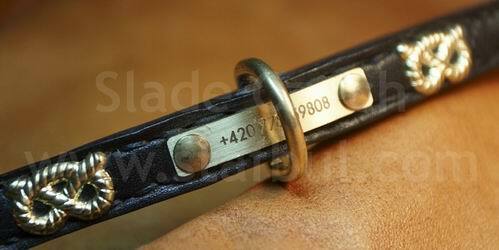 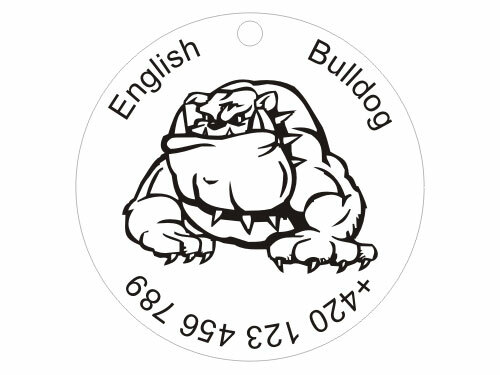 On the tags is possible to engrave both text and graphic symbol. 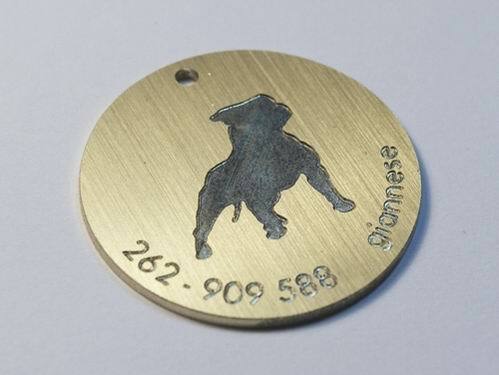 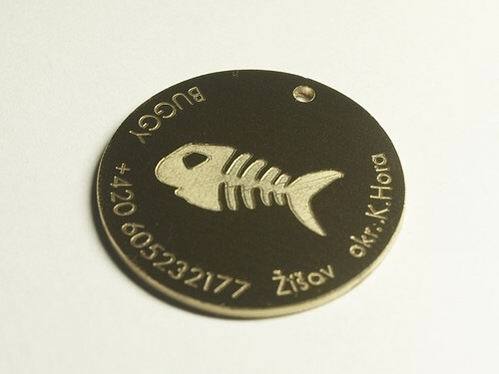 Tags are made from brass /gold/ or chrome /silver/. 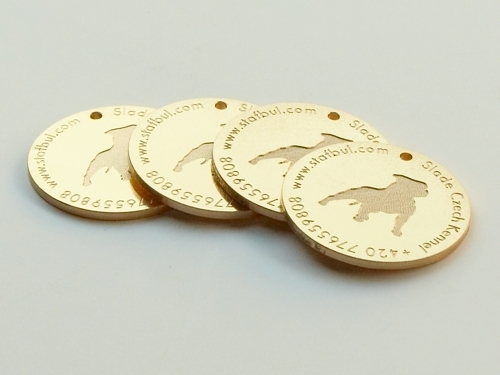 For model you can choose from our offer or you can use these dog silhouettes. 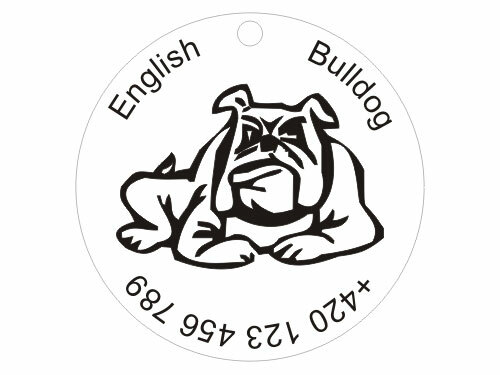 Price depends on quantity of the used text, graphic and size of the tag that is why we will draw up concrete proposal and calculation according to your demands and send to you free by the e-mail back in a short time.